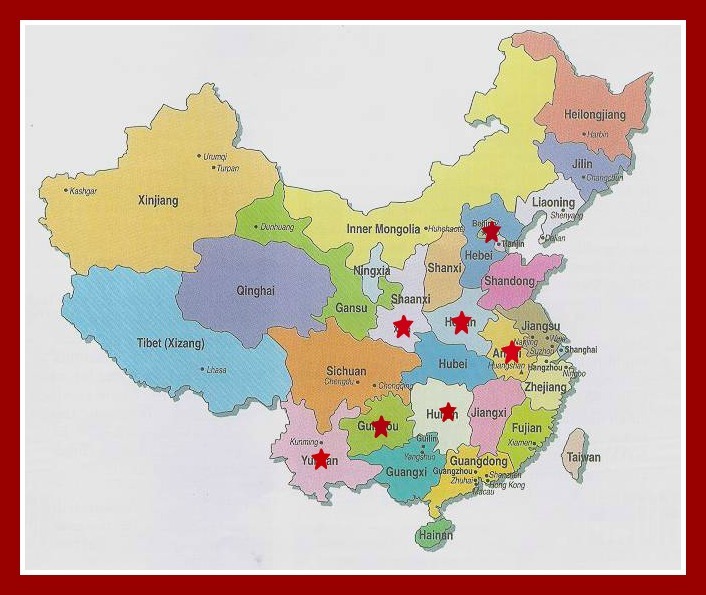 Caring for China's Orphans supports orphans in 11 orphanages in 7 provinces throughout China. From boxes of basic supplies to medical missions to clean water and more, we support the care of orphans in many ways. CfCO knows that many hands make light work. Scroll down to see more on the work we do and how you can help. Each year Caring for China's Orphans sends boxes filled with basic necessities to the orphanages we support. Boxes include diapers, first aid, clothing, bedding and more. The cost of shipping a box of basic needs is approximately $300. Caring for China's Orphans offers several ways to support our box program. Collecting supplies and filling boxes is the perfect service project for your school, church or Scout troop. Click here to see our orphanage wish list. If you are traveling to China, check one of our boxes as an additional piece of luggage. Email Jeannie Butler to arrange to deliver a box to one of our partners. If filling boxes or travel to China is not possible for you, click here to make a donation toward shipping costs. Throughout the years, we have provided support for the medical needs of children in our partner orphanages. No need to too great or too small - from basic first aid supplies to medical mission trips. Our first medical mission trip was in 2010 but the tradition continues. In 2015 we worked with Dutch doctors to provide over 60 children with life-changing cleft surgeries in Shaanxi. Click here to read more about this life-changing trip. By making a DONATION to Caring for China's Orphans, you can help us help those most vulnerable due to medical needs. If you are in the medical field, we would love for you to travel with us. For more information on traveling with us in 2016, click here to fill out the Contact form. Orphans living in China have access to primary and middle school education. However, once students complete middle school the next step in education (high school) is costly and must be paid for by the student's parents - or in the case of orphans, the orphanage. How you can help: Give today to help us keep the children we have supported find a better future through education. Click here to make a monthly or ongoing donation to Caring for China's Orphans. Caring for China's Orphans mails or delivers in person individual care packages to the orphanages we work in throughout the year. For $25.00 a month, you can give a child a better life and hope for a better future. With our Friend an Orphan program you will receive a picture of your child and information about them to help you support them in a more meaningful way. You may write letters and send small gifts which we will deliver via the postal service or in person on one of our many trips to China. If you would like to support an individual orphan or simply want to know more about this important program click here to fill out the contact form. We receive calls regularly to assist new orphanages and often travel outside of these areas to assess needs and to provide at least temporary support if not long-term aid. It is thanks to our donors that we are able to do this work.